Indonesia is the third largest democracy in the world, behind India and the United States of America. It’s population is about 241 million people with a $1.1 trillion GDP. Industry makes up 47% of the GDP compensation with Indonesia’s main industries being petroleum, min- ing, and rubber. The country also relies heavily on its agricultural exports including palm oil, which is the most detrimental to the forests of Indonesia. 90% of Indonesia’s rain forests have been cleared for palm oil plantations. According to WWF about 12 million hectares in the last 22 years has been cleared to make way for mining, palm oil and other industrial uses in Sumatra. 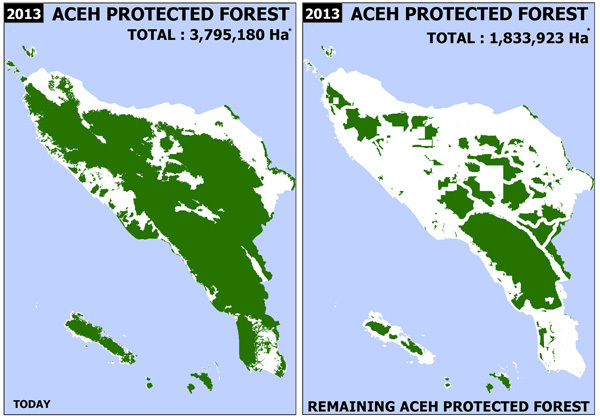 Tengku Anwar, the head of the Aceh parliamentary committee, is in full support to strip 1.2 million hectare of it’s pro- tected status. Several international companies, such as the the Canadian mining company East Asian Minerals, are seeking approval to devastate the environment to mine for miner- als. Over the last few years the Indonesian government has denied several permits to log within the forests, but the new administration is more pro-logging. 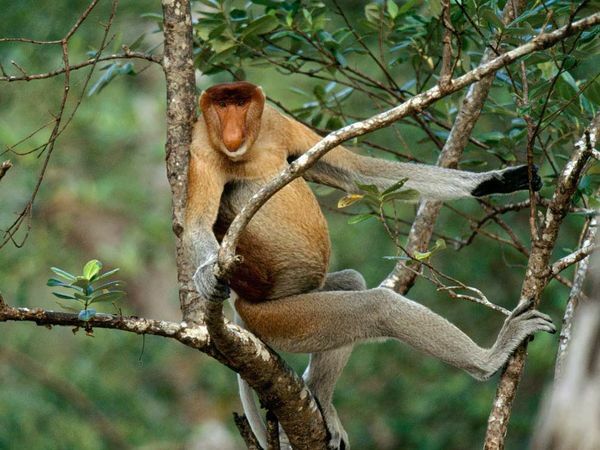 Although a decision has not yet been reached, the threat to the forest is still eminent. The deforestation and creation of industrial areas within the boarders of the forest is harmful in a variety of ways. Not only is the natural environment of the endangered species endemic to Indonesia being destroyed, but the human traffic encourages the pet trade, bushmeat trade and pest killing. 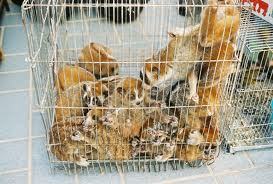 Many of the native primate species are seen as pests to palm oil plantations and are killed or sold into the pet trade. Although primate species like the Sumatran orangutan are protected by laws that make it illegal to own, kill or capture the species, 2012 was the first time a Sumatran citizen was ever persecuted for selling and trading orangutans. The lack of law enforcement is one of the largest threats to primates popular in the pet trade, like the slow loris, gibbon and orangu- tan. Because they are such popular pets, and government officials themselves own the pri- mates, those laws are often the last to be enforced. 90% of U.S. palm oil imports come from Malaysia. You can make a big difference by not buying products with palm oil in the ingredients – we have to lower the demand. Such a shame our government can’t or won’t do anything to influence. This but can send troops to Afganistan. What is the world coming to when death and destruction rate higher than saving life and doing right. What a screwed up system. It’s sad. It seems the world is in such a politically unstable place that many governments seem to think thats the only thing that matters and ‘trivial’ things like endangered species conservation has taken a back seat. But as responsible citizens, the more steps we take towards a greener future, the better off we are. I have some things in mind that, when the time is right may make people listen, but the time has to arrive. Soon I hope.